Explore our recommendations for the best Louisiana replacement windows from top manufacturers and local companies. Louisiana doesn’t have a ton of top quality options, but does have lots of choices when it comes to vinyl windows. The big players in the state tend to be the big box stores that sell brands like Reliabilt, Jeld Wen and Silverline. As always, be sure to get multiple window price quotes from local companies in order to insure that you get to know some of the available brands and that you get good prices and quality installation. Sunrise Windows is headquartered in Michigan, but has a distributor or rep in New Orleans who is a vey good installer and services the Baton Rouge area. Sunrise is considered one of the manufacturers that produces top vinyl windows. Their Restorations Series is a fantastic option, although pricey. The Vanguard and Verde are less expensive and both considered very good windows as well. Simonton is a nationwide brand with a presence in Louisiana. Their lower end windows are just okay, but their mid range Reflections 5300 Series and 5500 Series vinyl windows are a good buy. Consumers can expect to pay anywhere from $300 for the Assure to $650 for the Impressions series fully installed for a normal sized opening. 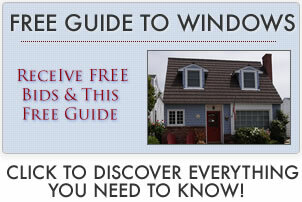 Window World is known for selling affordable or discounted vinyl windows with quick installation. There are lots of poor Window World reviews out there, but are good ones too – and here is why. Window World is a franchise so the installation and service is dependent on the individual franchise. What seems to be most important for the consumer is to make sure that the installer who will be doing the work has a good reputation and reviews – Window World gets knocked for paying their subs by the window, which is a receipe for quick installation that is not necessarily top quality.